Snowbiz 2019 is just around the holiday seasons. Be sure to save the date for 2019. It's going to be an epic year! THIS IS A FREE EVENT! But there's a cool raffle with TONS of amazing prizes that you'll want a chance to win. This year we are raffling off 2019 Honda Pioneer UTV from Zacho Sports Center as our Grand Prize! Don't forget to pick up your raffle tickets at a Kwik Trip near you for only $1! 8th Prize: $500 Gift Certificate – Hi Maintenance Co.
Bear Creek Band comes from Durand, Wisconsin and will surely keep you entertained with their expansive variety of styles ranging from country and classic rock to pop hits. They’re known for being fun, fast paced and keeping you on your feet as they cover tunes by artists like Z.Z. Top and Hank Williams to Lady Gaga. Second up is rocking country music singer, Dawn Marie, from Menomonie, WI. 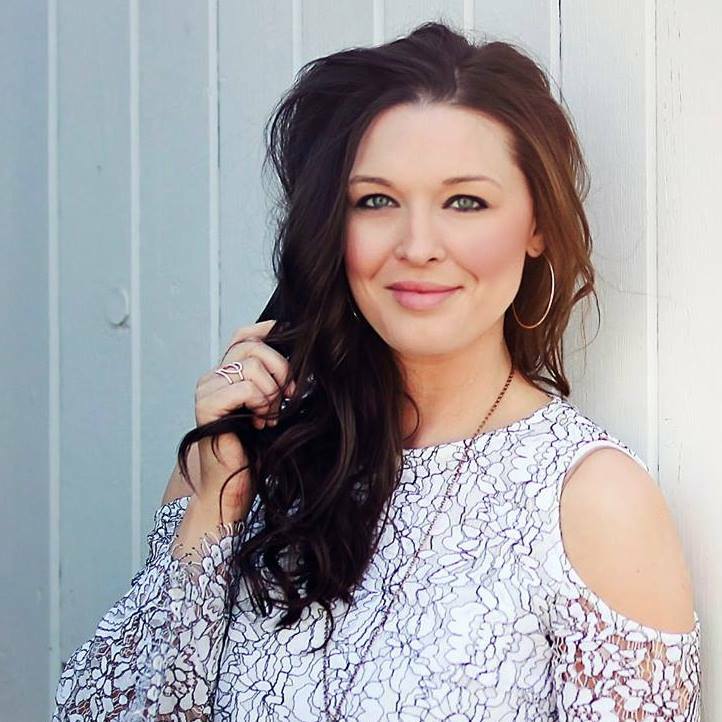 Her songs aired on several Midwest radio stations throughout 2016 and toured with Bear Creek Band, so they’ll be the perfect pair to a perfect Snowbiz day! To keep you up and dancing popular cover band Divided Highway will close out the night. Since 2005 they’ve been known for their classic and modern rock covers with outstanding vocals by all members of the group, you’re sure to be amazed. 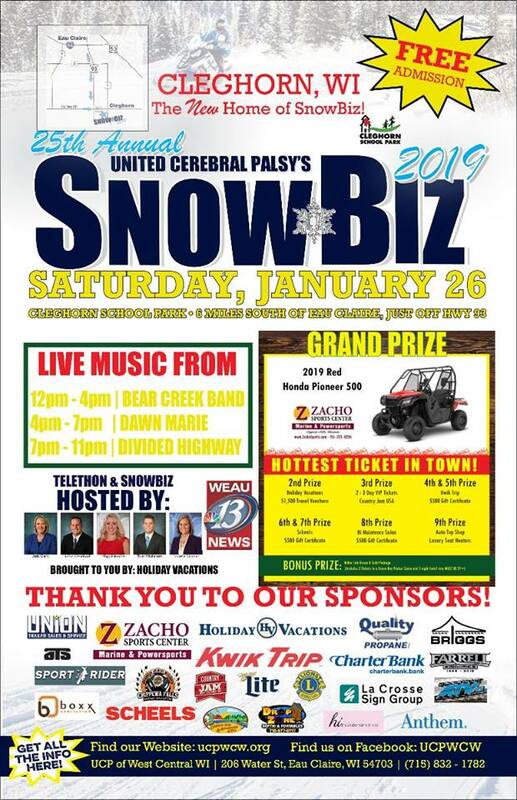 Music will be going on from Noon to 11:00pm with the Snowbiz Raffle taking place around 4:45pm. Tickets can be purchased at local Kwik Trips and during the day of the event for $1 a piece! 5th Prize: $500 Kwik Trip Gift Card - Ticket #111546 Wendy T.
8th Prize: $500 Hi Maintenance Co. Gift Certificate - Ticket #114358 Wendy M.
Thank you again for everyone who bought and sold tickets! We appreciate all of your support. Congrats to our winners!